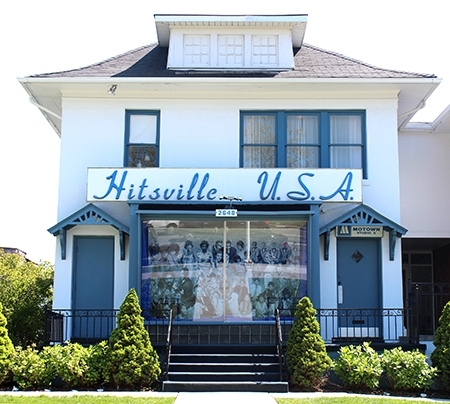 Detroit’s Motown Museum Thursday announced it will display never-before-seen artifacts Saturday from the founding of Motown Record Corp. in honor of its 60th anniversary. The museum will host a Facebook video today at 3 p.m. to unveil the artifacts before the display is officially opened to the public Saturday. The artifacts will remain on display through the end of the month. Artifacts include a Ber-Berry Co-op savings account book owned by Berry Gordy Sr. The book gives viewers a look at the establishment of the Ber-Berry Co-op and organizational structure put in place by the Gordy family members. Berry Gordy Jr. received an $800 loan from the Ber-Berry Co-op, the Gordy family savings club, on Jan. 12, 1959 in Detroit. The loan was used to finance Gordy’s first independent record “Come to Me” by Marv Johnson, which ultimately led to the creation of Motown Record Corp., the institution responsible for more than 180 No. 1 hit songs worldwide and work from multi-platinum artists such as The Temptations, the Four Tops, The Supremes, the Miracles, Marvin Gaye, Stevie Wonder, and The Jackson 5. Other artifacts include a Ber-Berry Co-op Analysis of Member Accounts document dated April 10, 1960, the accounting ledger that certifies the re-payment of the $800 loan given to Gordy, and minutes from the Ber-Berry Co-op meeting held on Feb. 8, 1959. The museum will be conducting a series of archive dives to uncover relevant artifacts throughout the year. They will be curated and revealed in a series of special displays timed to coincide with key milestone dates throughout the 60th anniversary celebration year. The Motown Museum expansion was announced in late 2016 and will grow the museum to a 50,000-square-foot entertainment and education tourist destination featuring interactive exhibits, a performance theater, recording studios, an expanded retail experience, and meeting spaces. The museum will also host its core programming, including the Motown Mic spoken word poetry contest, its SPARK and IGNITE summer camps, and the Amplify singing competition. More information on the museum is available here. Click here to visit its Facebook page.